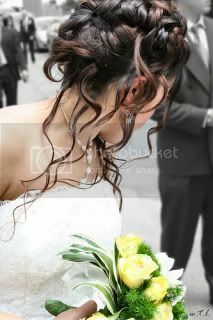 There are numerous wedding hair styles that you can choose from for your big day. 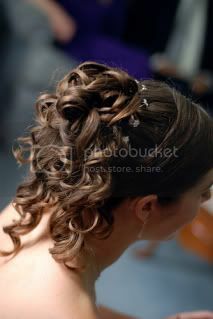 You should choose a hair style that compliments your face and your wedding gown. Look around and find some hairstyles you like. 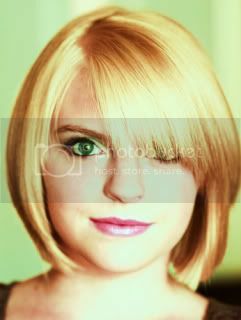 Find ideas from websites, magazines, friends, hairdressers. 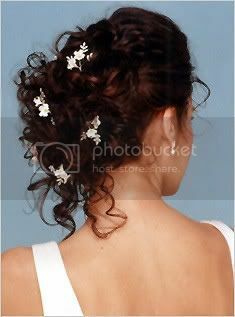 Many bridal magazines have tons of different hairstyles, and you can also see how certain styles look with certain types of dresses. 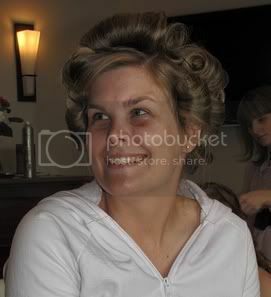 If possible, your hairdresser should practice the hairstyle on you a couple times before your wedding. 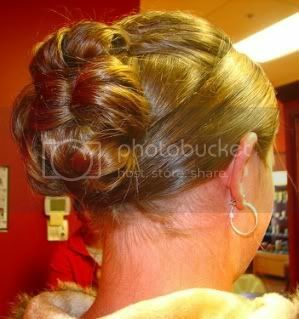 This gives you time to try out different styles, find the appropriate hair jewelry, and make sure it looks exactly how you want it! 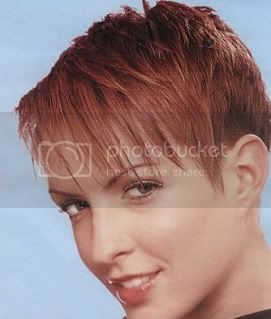 Remember, if you are going to cut or color your hair, you should do so about one to two weeks before your wedding day. 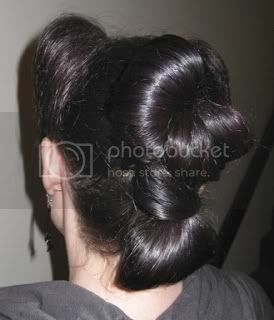 Try to style your hair different ways, even if you are set on how you want to wear it. 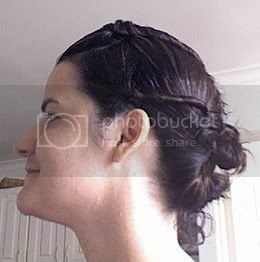 Get a complete up-do, down style, half-up and half-down. You might be surprised with the results and you may find that you like a certain style better than your original. 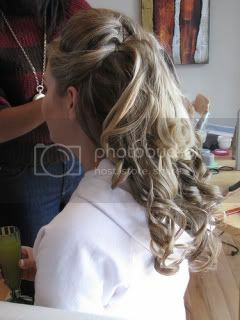 When going for your sample hairstyle appointment, we suggest wearing an outfit that is similar to your wedding dress. 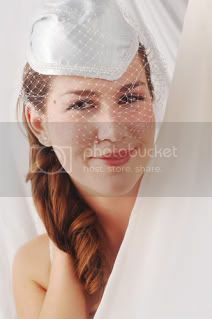 This way, you can get a good idea of what you will look like on your wedding day. You may wear spaghetti straps, sleeveless shirt, long sleeved white shirt, or a tube top or strapless dress. 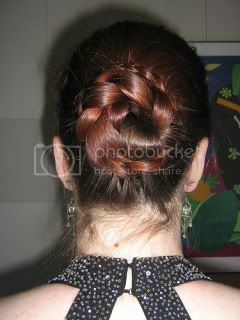 Up-dos usually look best with a ball gown or a dress with a low back. Decide whether or not you want to wear a headpiece, flowers or jewels in your hair. These can make a difference when choosing your hairstyle. 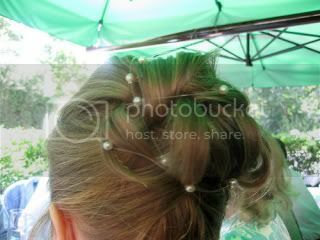 If you are wearing a tiara, hair usually looks the best when it is pulled back. 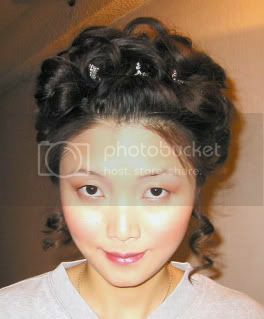 Find a way to securely attach your headpiece to your hair. 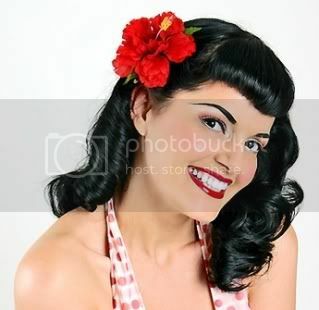 If you have wavy or curly hair, wide-toothed combs work best. For straight and fine hair, you should use finer combs. 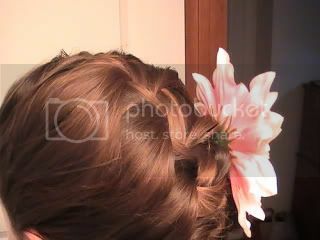 Bobby pins or barrettes can be a life saver! 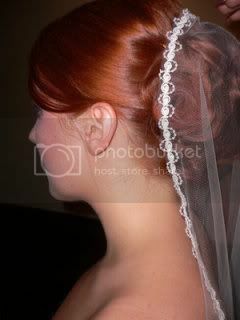 Don’t forget to bring your tiara or veil with you when you go for your sample hairstyle appointment. For jewelry, it is better to wear elaborate earrings if you wear your hair up, and simple earrings if you choose to wear it down. 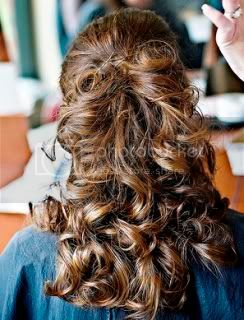 Loosely curl long layers and leave hair down.